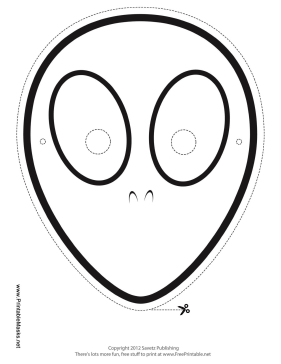 This teardrop shaped alien mask is perfect for homemade Halloween costumes. Color in the alien face, then wear your mask with a simple black robe to scare the whole neighborhood! This mask is free to download and print.